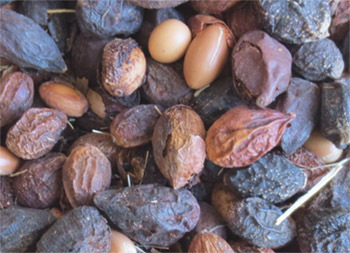 Argan oil is derived from the argan tree. This tree is found mainly in the southwest of Morocco, but also in western Algeria. It is a component of the traditional local cuisine, which is also used for its cosmetic properties. In recent years, it is experiencing strong international interest in cosmetics, causing an explosion of its price, and various fraud or abuse.